She’s twelve and lives with her grandmother in Numbulwar; a small, remote Aboriginal community on the Gulf of Carpentaria. Before this year, school wasn’t very exciting for Lilly. She’s seen boredom get the best of many of her friends. But Lilly had just returned home from her first trip to Darwin, after traveling over 800km to play in her first ever netball carnival. It may not seem significant, but for many girls and young women living in remote communities, being part of a local sports competition is life changing. It’s all thanks to a program that uses netball to reconnect indigenous girls in remote communities with education. With funding from the Confident Girls Foundation, Netball NT is providing remote schools with a netball program that makes education more appealing for vulnerable young indigenous girls drifting out of the system. 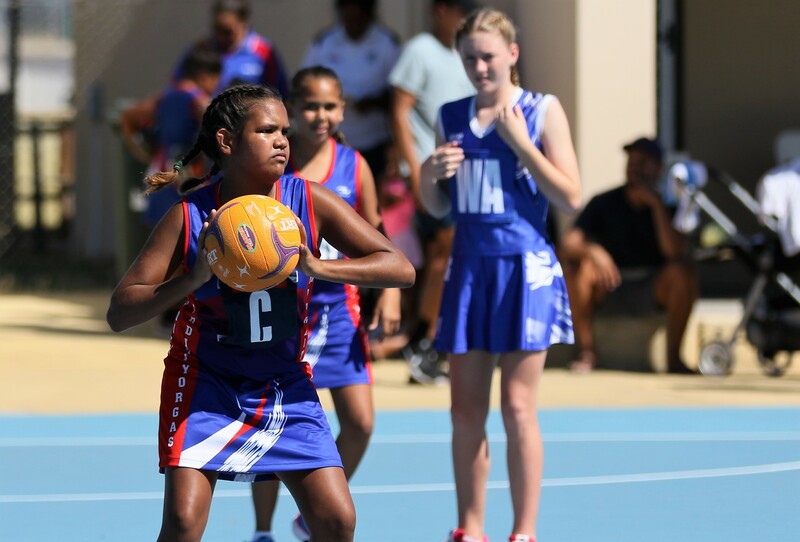 You can help give young Aboriginal girls like Lilly a brighter future through netball. Just $25 a month can help change a life. The girls’ passion for the game is contagious. Makeshift courts, bare feet and portable goal posts have not discouraged the girls from playing. They’ve learned new skills, gained confidence and build resilience. They’ve been given skills that will help them be the best person they can be. “School is more interesting because of netball. It’s amazing to be part of a team,” Lilly said. Many of the girls travel for hours to play in Darwin. But that’s not unusual for a competition in one of the most sparsely populated places in the world. “More girls should play netball. It gives me something to look forward to, to work hard for. I’ve made some amazing friends and had the chance to try something new,” said Lilly. So many small communities in the NT are extremely isolated and battle problems with drugs, alcohol and violence. The region has some of the worst suicide rates in the country. Sport is a positive influence for young girls and boys who are enjoying all of benefits of taking part in team sport. They are now attending school every day, so they can take part in netball. The confidence and teamwork they gained was amazing. They learned about winning and losing. It built resilience. It made them determined to improve. For young girls like Lilly, netball is more than just playing sport. It engages, educates and empowers young indigenous women and girls. Through netball, we can recognise participants’ success and celebrate their achievements inside and outside their local community. Every child deserves to be the best they can be. Please donate today and give an Aboriginal girl an opportunity to thrive.